If your organisation doesn’t have a LinkedIn presence yet, it might be worth considering a change in that situation. I have been on LinkedIn for as long as I can remember. I have managed (and still managing) LinkedIn Groups and Company Pages for organisations. However, it is one social networking group that I don’t talk much about because I have has a bone to pick with them for a while now. And, regardless of getting to quite “the higher ups” due to recommendations by my networks, my concern about the use of LinkedIn has never been addressed properly by the company. That’s why I do hesitate to talk about them. Having said that, I have witnessed a number of benefits that may be attributed to LinkedIn presences. That’s why I thought that I really shouldn’t let a couple of my concerns* get in the way of recommending it as a good place to have a presence in. 1. Encourage staff members to start and to keep a LinkedIn profile. This isn’t something organisations can force employees to do. However, if organisations can promote its use by highlighting staff members’ LinkedIn profiles on company websites and email signatures, then it can encourage others to follow suit. One advantage of having staff members on LinkedIn is that human resources and your content team have an easy access to employees’ CVs. They’re especially useful when writing staff bios and featuring staff members’ professional histories. 2. Create and maintain your company profile. If no one has started a company profile for your organisation yet, it’s best to get one started as soon as possible. Here, you can create an overview of your company and its products and services. You can also feature your organisation’s employees here, if they have LinkedIn profiles (another reason point number one is useful). * You can also feature your company’s job openings. With LinkedIn being a prime place for recruitment, this can be a really good opportunity. Also, customers/clients are able to provide testimonials for you via your LinkedIn Company Profile. To see a sample, you can see Vervely’s LinkedIn company profile here. 3. Make sure you don’t miss LinkedIn Groups! Many organisations look at LinkedIn and just decide to start a group. However, many don’t realise the challenge that comes with maintaining and managing an online community. So, a number of groups become stagnant or unruly. However, when groups are done well, it can be a wealth of information for professionals within specific sectors. Even if you are not looking at creating and maintaining your own group, it would be useful to follow relevant groups in your organisation’s industry. And, don’t worry. You don’t need to receive notification emails all the time. You can always set notifications to receive emails once daily in a digest, or once a week. However, if your organisation is able to put in some resources on creating and maintaining a group in your niche or area, then you could possibly be benefiting from an incredible source of professional networks. 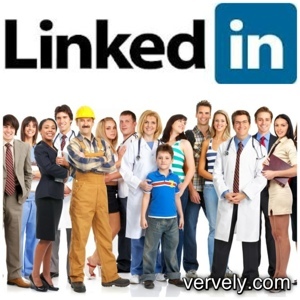 Vervely on LinkedIn – Follow our LinkedIn company profile. Shai Coggins’ LinkedIn Profile – If you want to connect, just drop me a line and let me know how you know me. *NOTE: The one disadvantage of connecting employees with a Company LinkedIn Profile is that organisations don’t have much control over who shows up on the page. In the past, a company profile that I was maintaining had a couple of employees who left the company but never updated their LinkedIn profile. That’s why they continue to show as current employees of that company. I have reported this several times and even managed to get to top level management. However, this is obviously one problem within their system that they don’t consider important enough. So, up to now this continues to be an issue. In fact, up to now, a disgruntled former employee of that company I used to work for continues to appear as one of their current employees on LinkedIn. Not the best look.